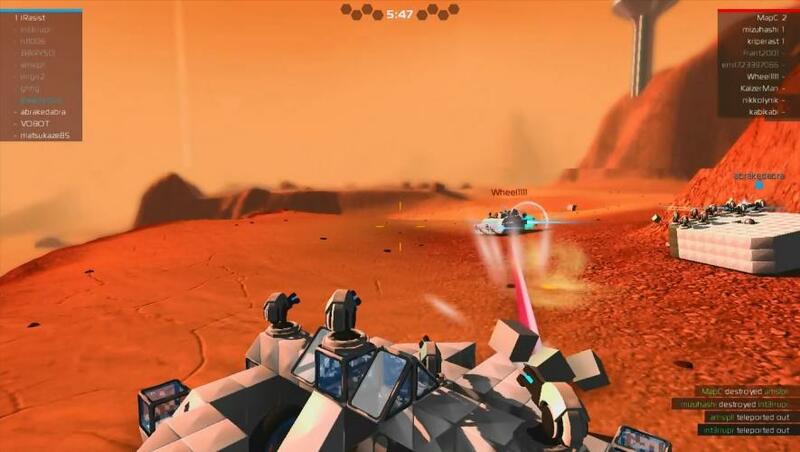 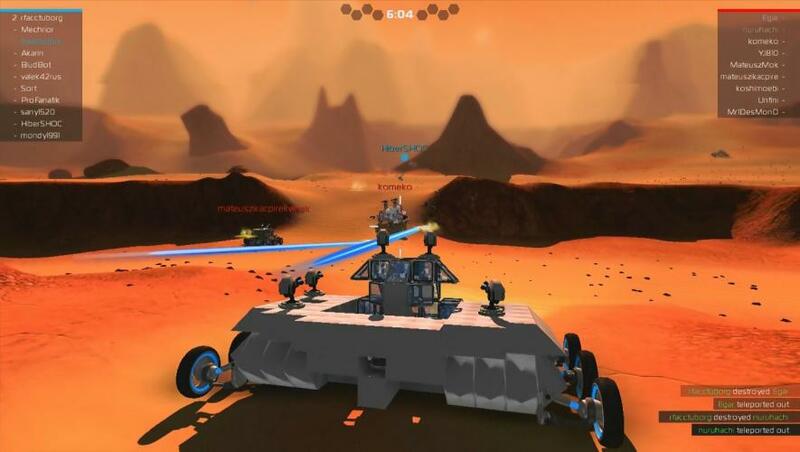 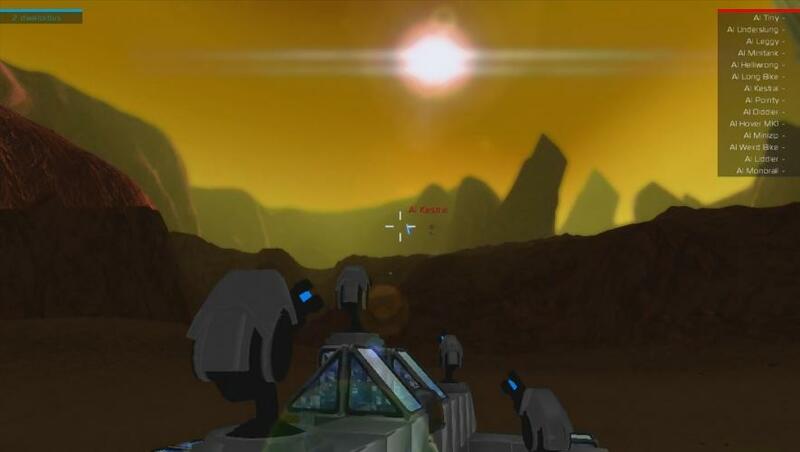 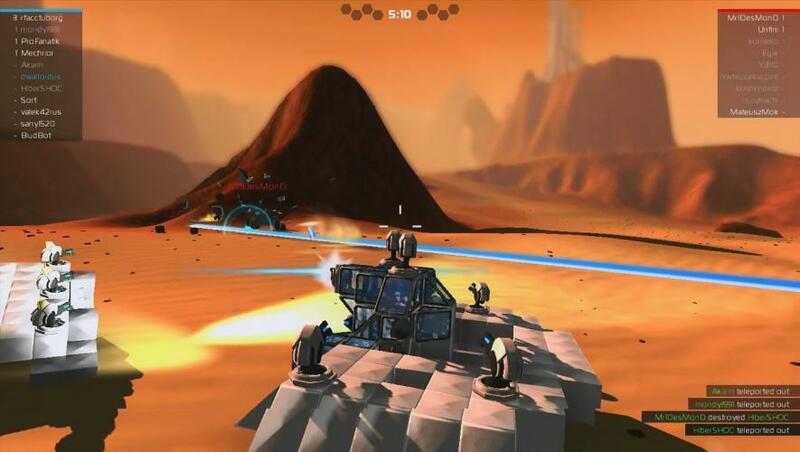 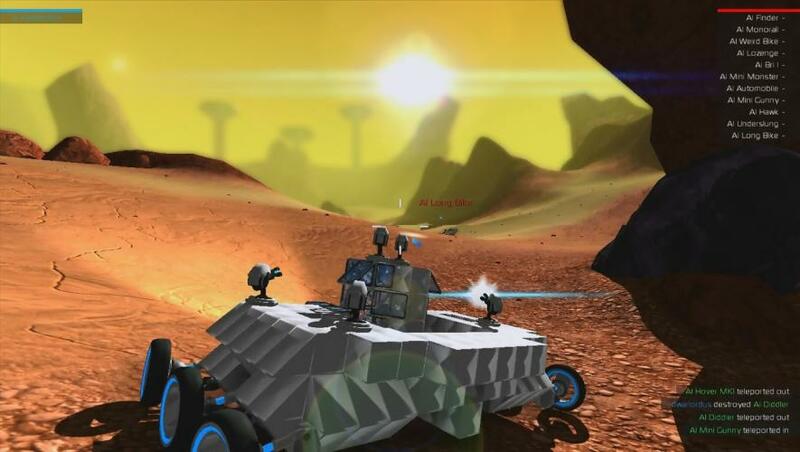 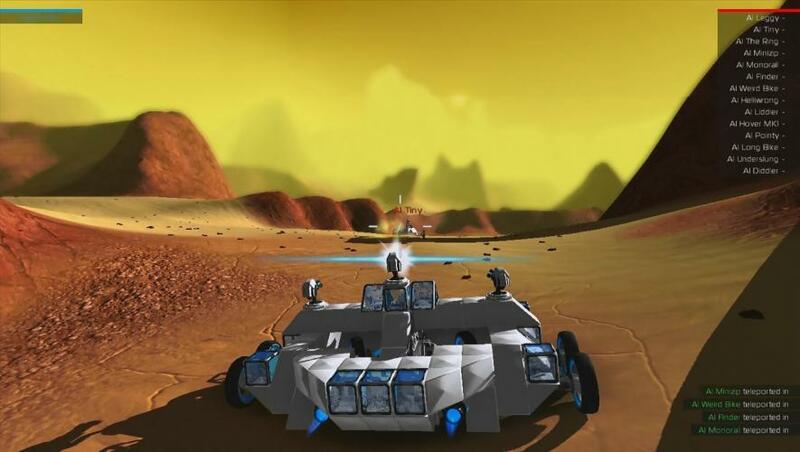 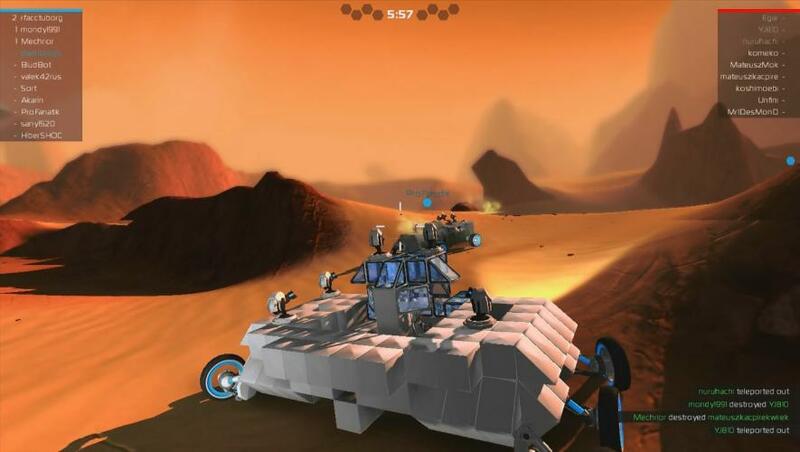 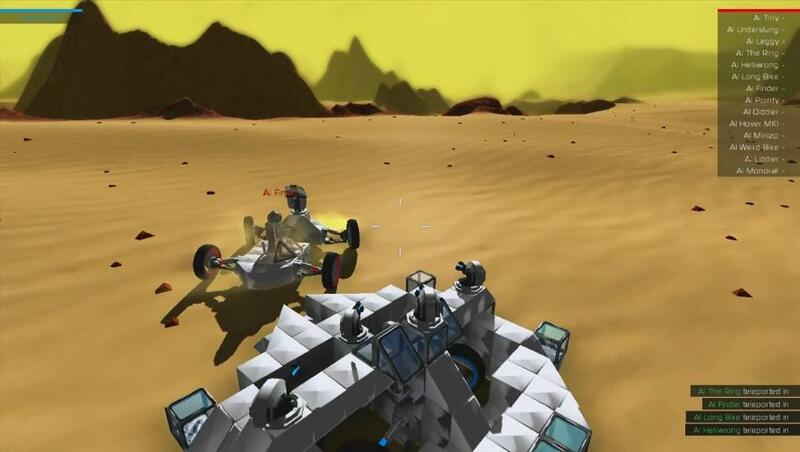 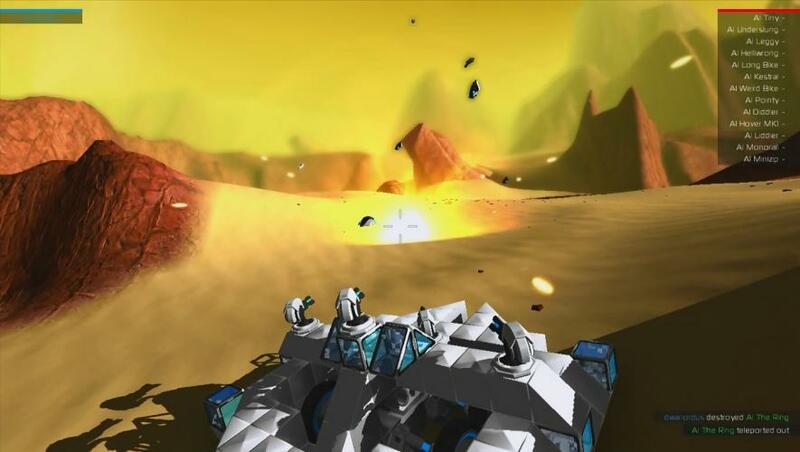 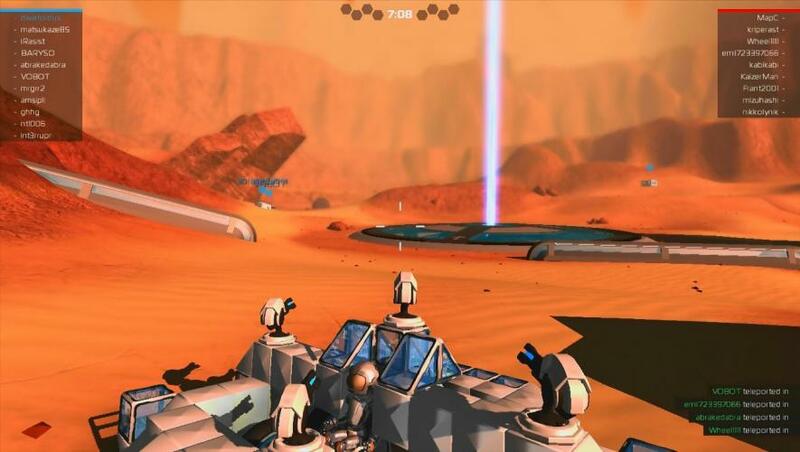 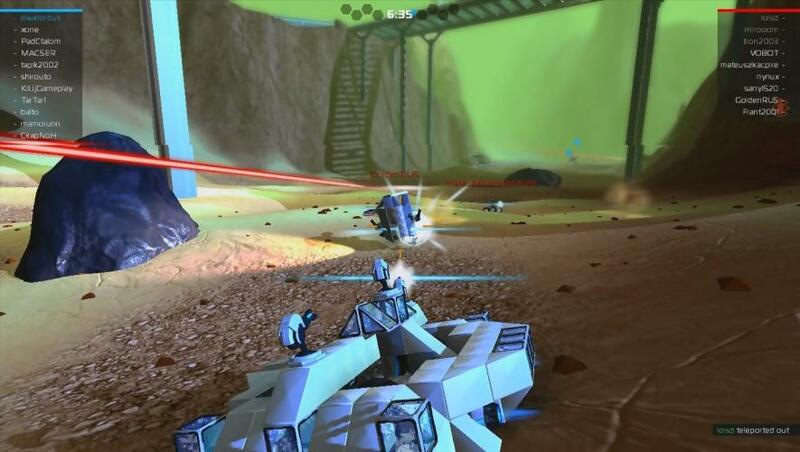 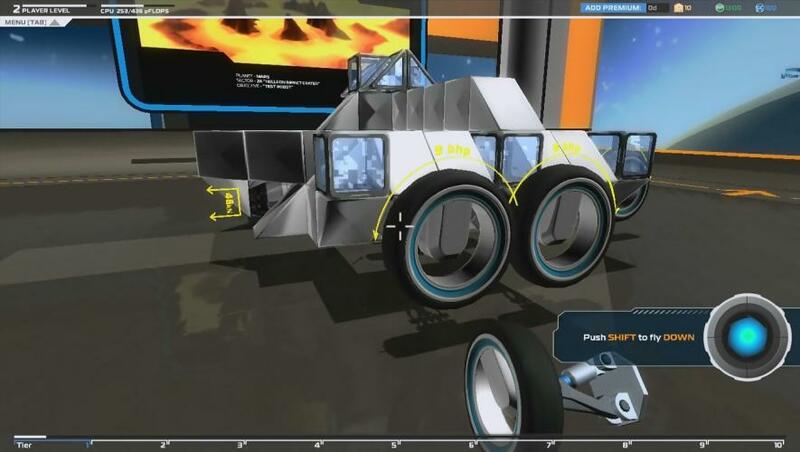 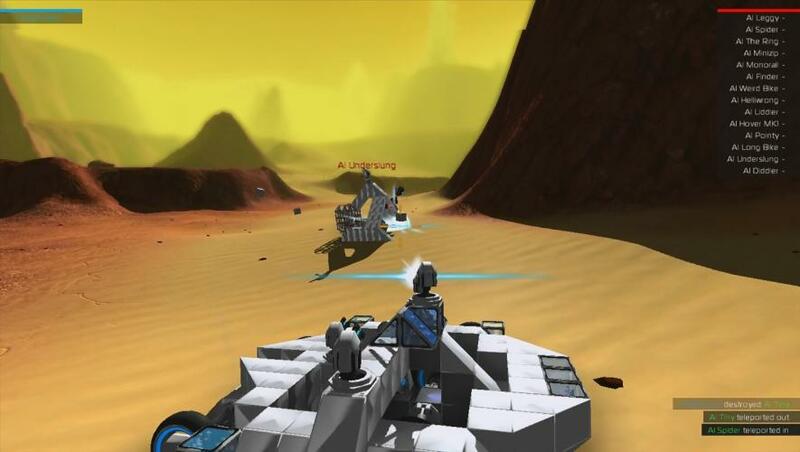 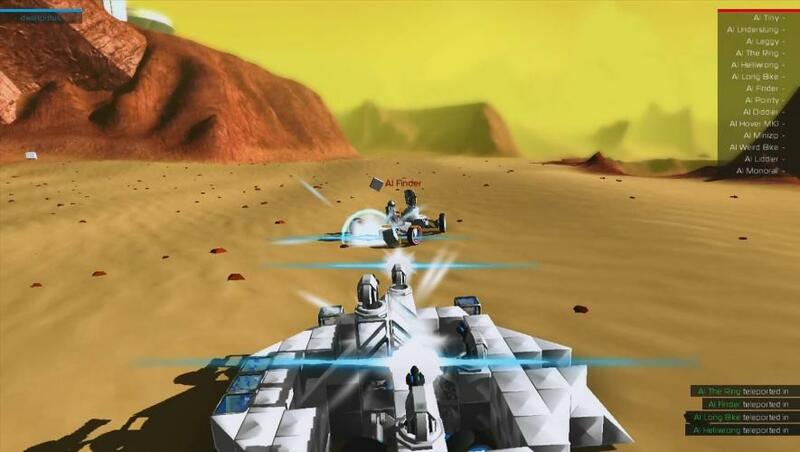 Robocraft a game that is primarily PvP, build awesome Robots from cubes, drive them and fight with them online. 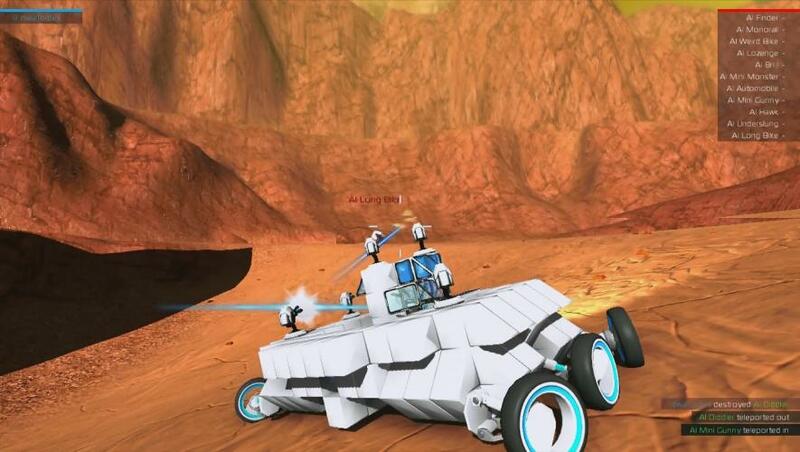 It's posible to shape Robotank, Hover Speeder or a Thrust Powered Flier from cubes, the variety of shapes depend and is limited only by your imagination. 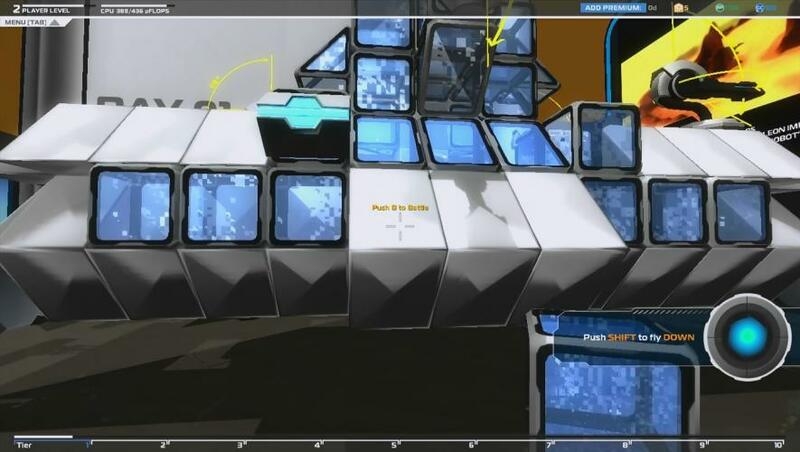 Each cube type has a Repair Time and a Repair Cost, the total Repair Time is the sum of all the destroyed cubes from your last battle up to the point you got killed. 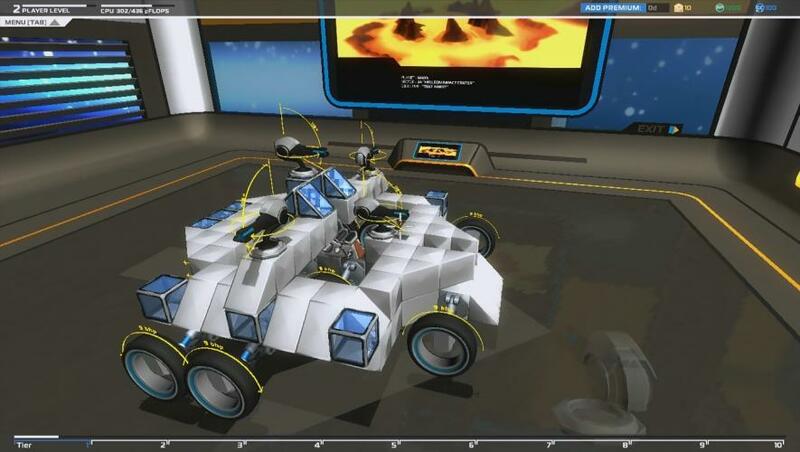 More powerful cubes have a higher Repair Time and Cost, but will also earn you more RP (as you will have a higher Robot Ranking). 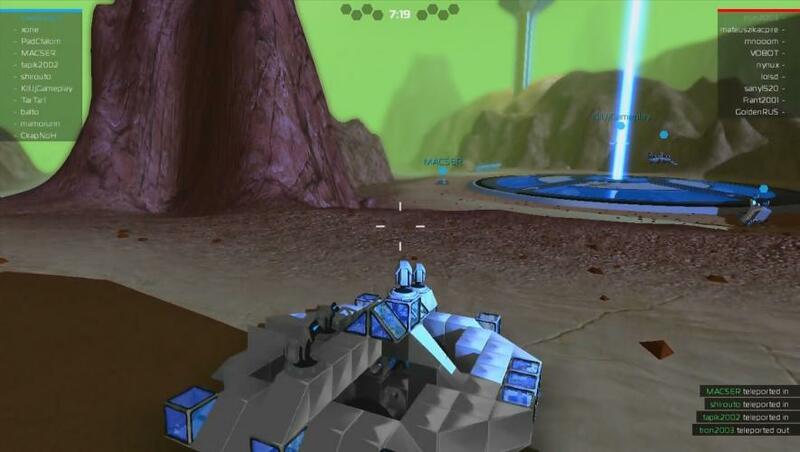 There are 3 types of match-making: - Fair Match, the MM system tries to put Robots in equal sized teams with with equal Tiers. 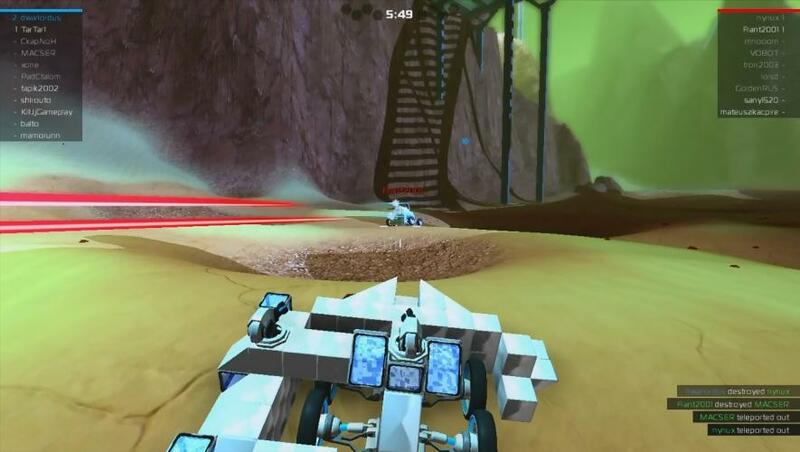 - Challenge Match, one small team of powerful Robots vs one larger team of weaker Robots. 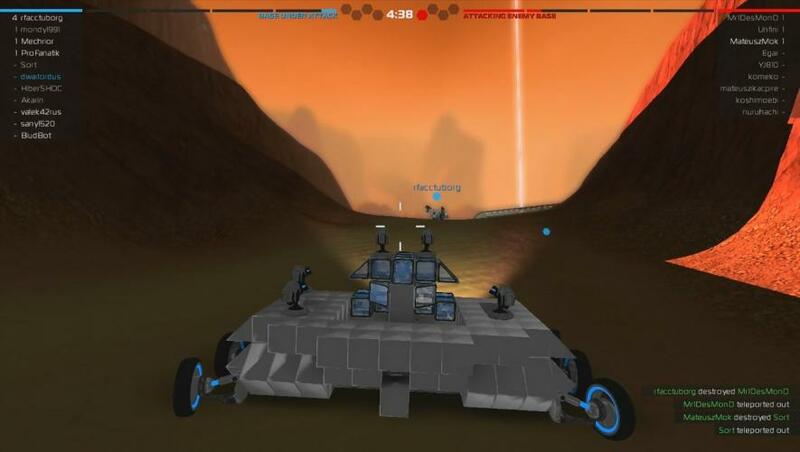 - Boss Match, 15 weaker Robots vs 1 Boss Robot. 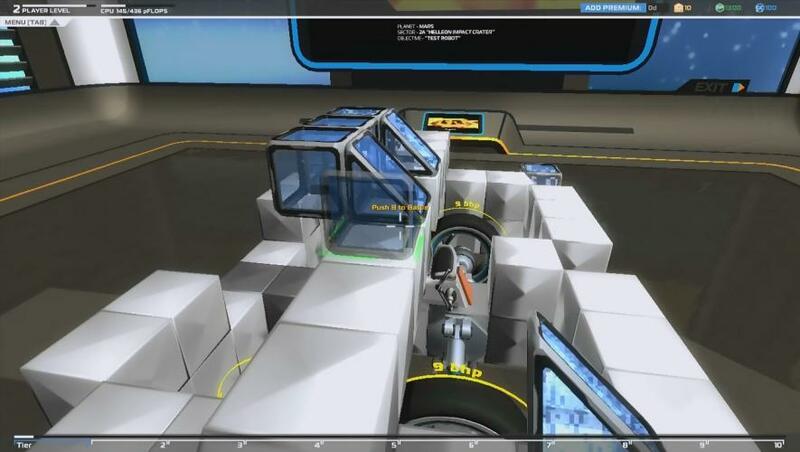 Cube Depot it’s an in-game virtual shop where you can get new cubes using Robo-Points and Galaxy Cash, you can earn RP’s for free by destroying other Robots. 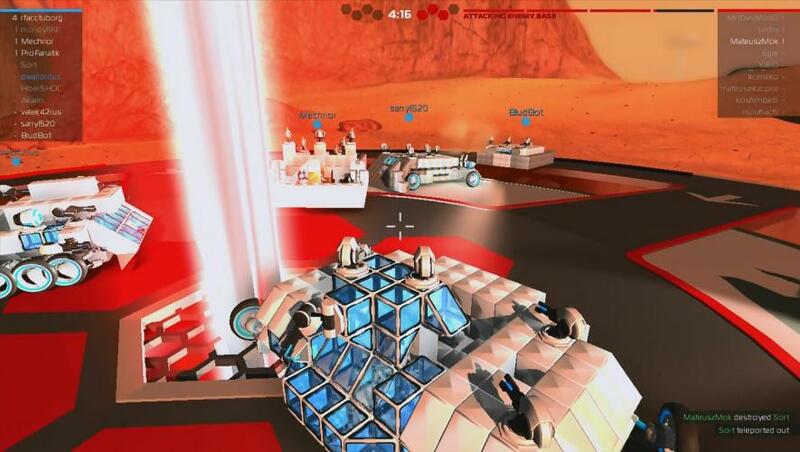 As you add cubes to your Robot the Robot Ranking increases. 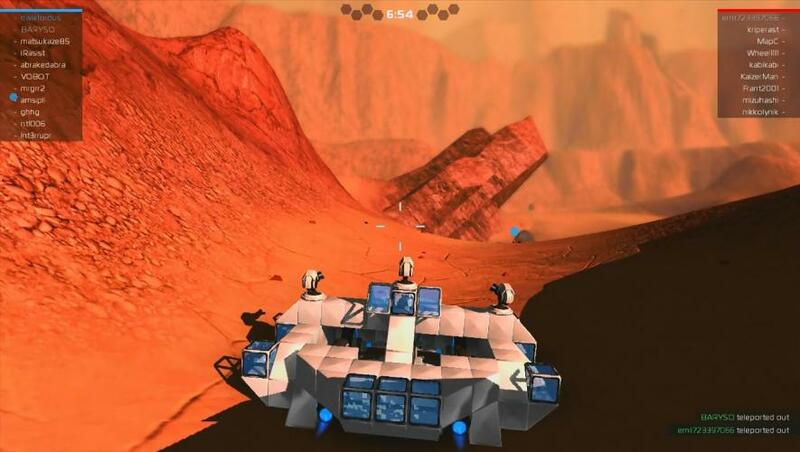 The more cubes you add, the higher your Robot Ranking. 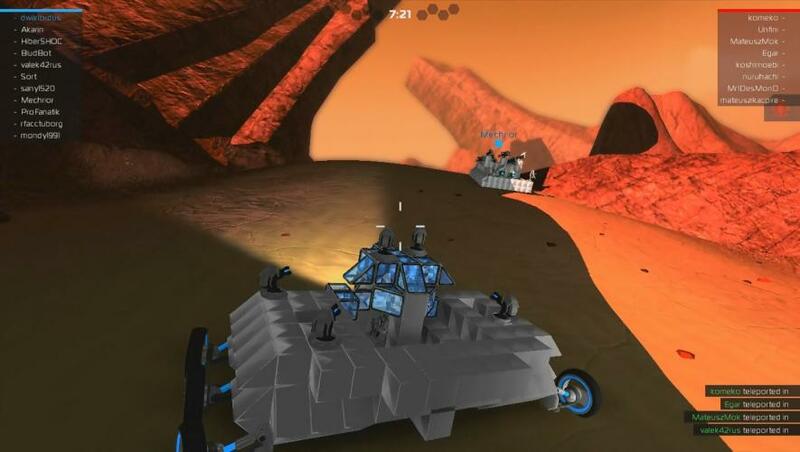 The more powerful cubes increase your Robot Ranking more. 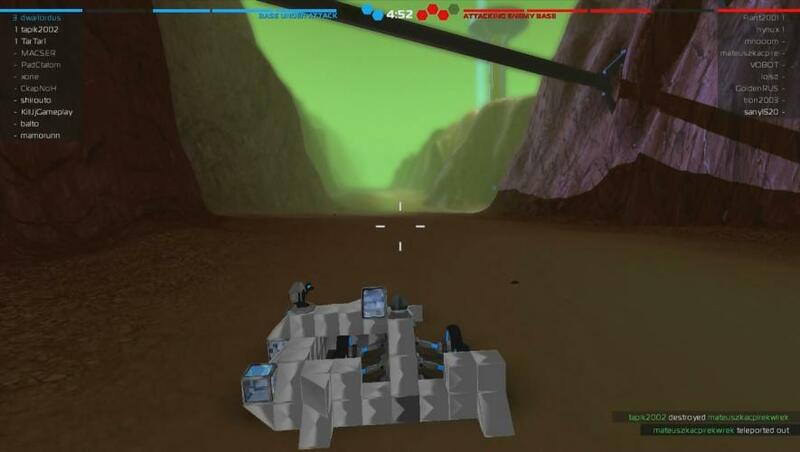 Armor cubes also increase your Robot Ranking. 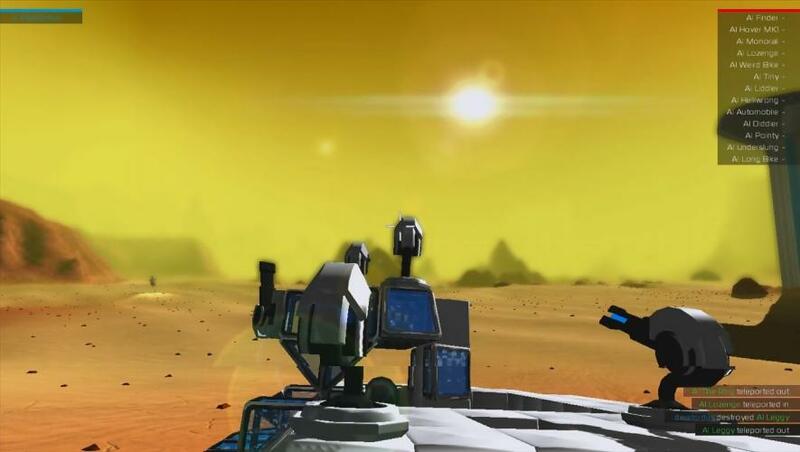 When your Robot Ranking reaches a certain level you will ‘Tier up’. 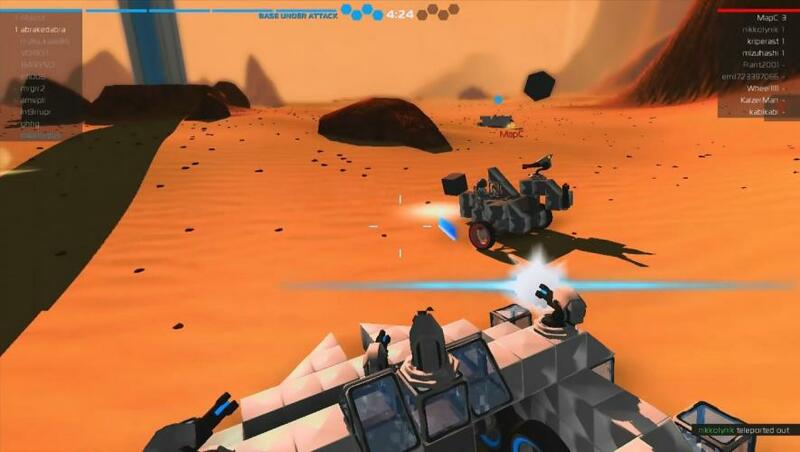 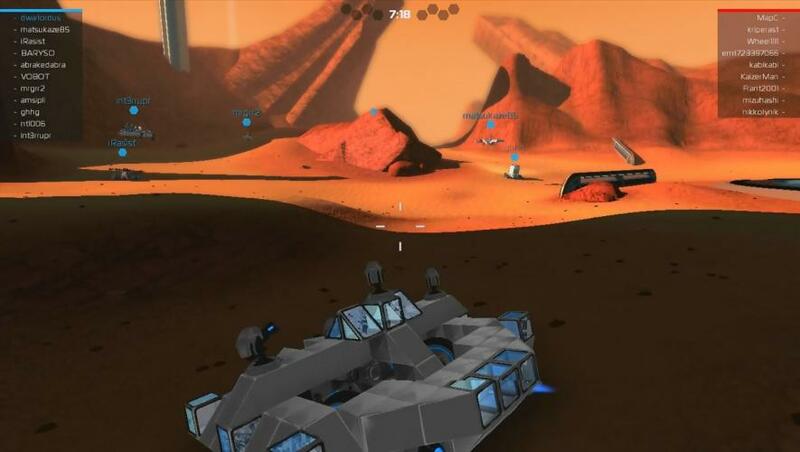 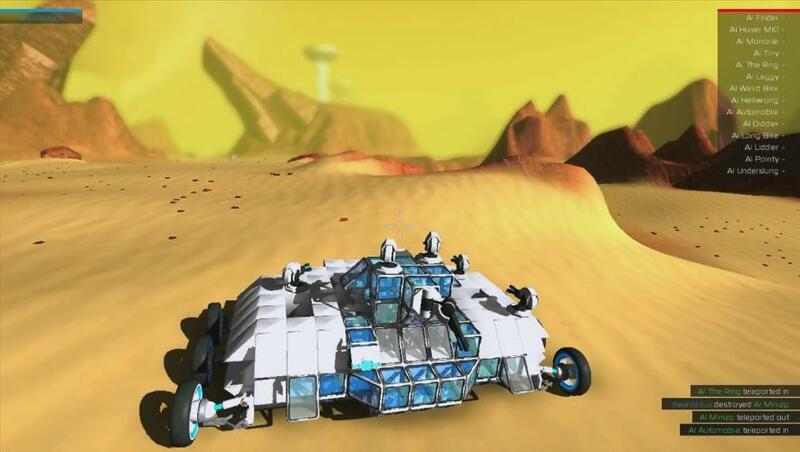 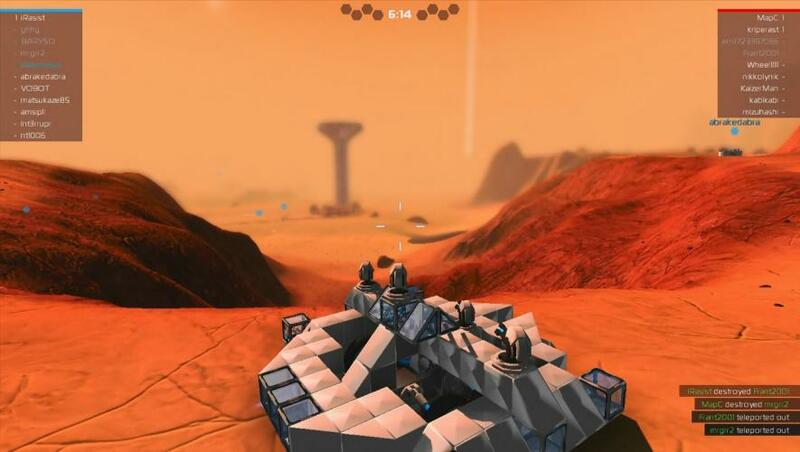 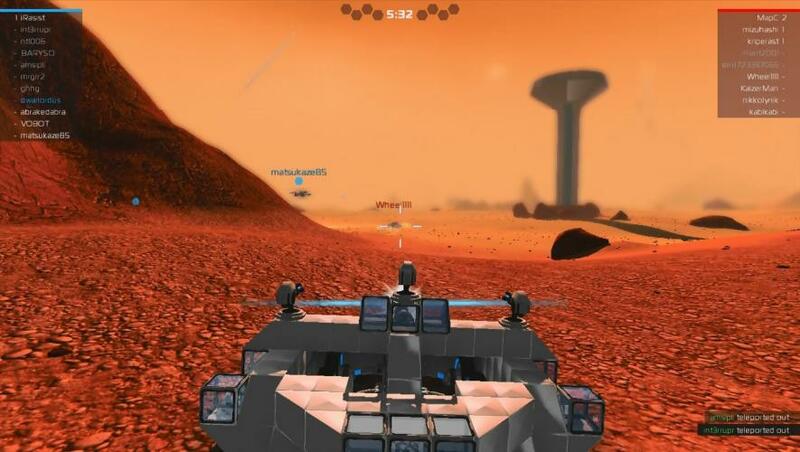 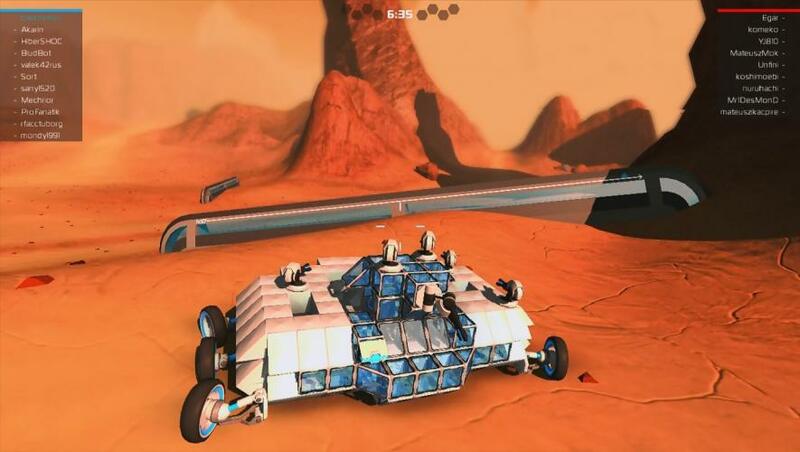 The Robocraft is becoming the new, indie, must-play game thing of this year (2014) so in conclusion is a good quality game with solid gameplay and totaly desevrved to be try and play.